Interview Mocha and ClassMarker provide online assessments, the use cases are different. ClassMarker only provides a testing platform, you have to create questions on your own. The use cases are less and it is used only by a small cluster of recruiters. So, don't go by the big brands you see listed on their website as only 1 or 2 recruiters of a company may be using ClassMarker without any cheating prevention. Unlike ClassMarker, Interview Mocha is an online assessment software with over 1000+ ready to use skill tests and simulators with the option to use your own questions, or you can ask for a custom test as well. This clearly shows that the use cases of Interview Mocha are far greater than ClassMarker. ClassMarker vs Interview Mocha's (ClassMarker competitor) detailed comparison is given below. It is quite apparent that Interview Mocha outperforms ClassMarker as far as the content is concerned. The client does not have to deploy any resources to create questions. Further, the questions are organised into ready to use tests. HR department does not need the help of technical experts to create tests from question bank before assigning tests to candidates, they merely choose the test and assign it. 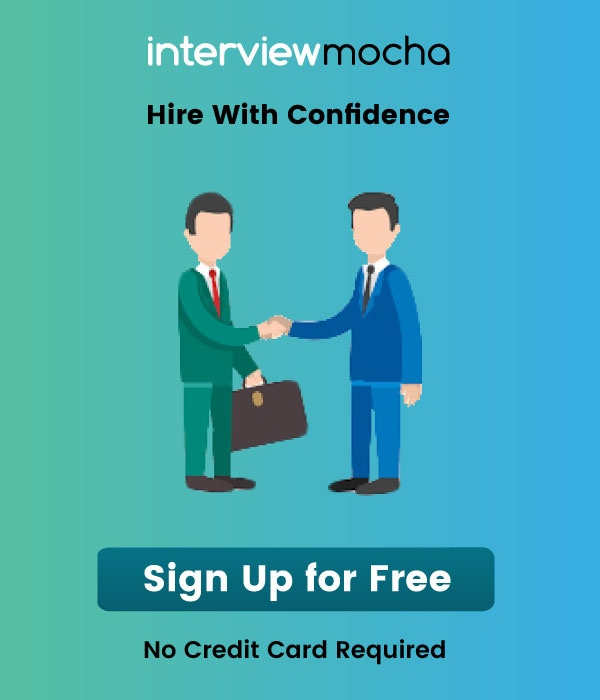 If you want to create a new or customised test then you can request Interview Mocha. Any organisation which does not have adequate resources to create quality questions is at a risk if they choose ClassMarker. Interview Mocha outperforms ClassMarker in case of the online proctoring feature. This feature captures images of the candidate while giving the test, to ensure the candidate is not cheating while taking the test. It also ensures that there is no other person helping the candidate. Interview Mocha also captures the number of times a screen is minimised and for how much duration. Further, Interview Mocha does not permit copy or paste of the questions. Both offer the choice of various question types and question editing facility. 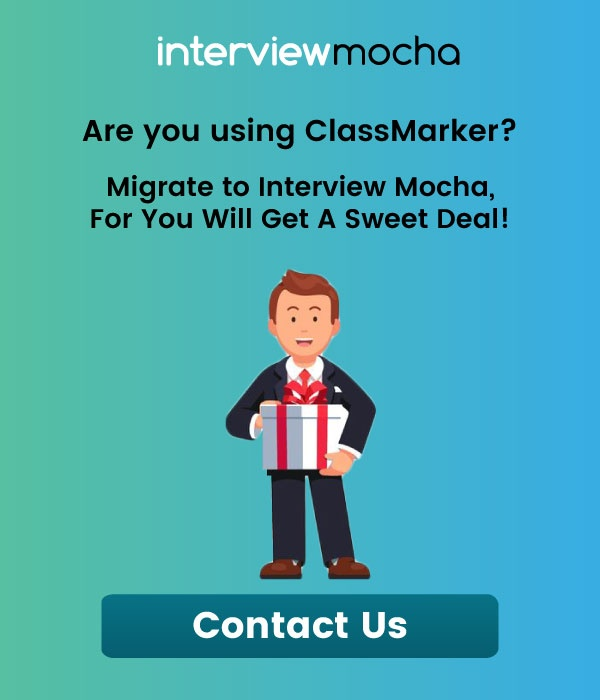 Both, Interview Mocha and ClassMarker provide instant results on the tests. Both provide a range of statistics to the client to help analyse the data. Also, permit sending of the results offline to administrators and test takers through excel. In case of ClassMarker, the results are emailed to the administration while in Interview Mocha all reports are displayed right after assessments are completed. There is no difference in the hardware and software requirements in both the platforms. Both, ClassMarker and Interview Mocha invite candidates through private links as well as public links. Interview Mocha doesn't provide certificates as it emphasizes on recruiting needs of employers and it is not designed for candidates who want to test their skills using practice tests. Both, Class Marker and Interview Mocha allow the user to brand their test pages. API integration facility is available on both platforms, allowing the client to view results in real time. 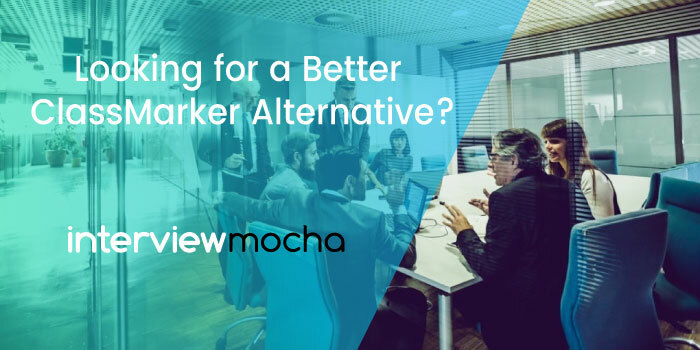 Class Marker use cases aren't steep while Interview Mocha has a lot of features which are created keeping enterprise customers in mind. Hope this helps you to choose the right assessment platform.